When it comes to concealer, it may be tempting to just rub it on and run. And when you’re just going on a quick trip to the store or something like that, it’s not the worst method. But if you’re trying to really look your best, there are several tips and tricks to keep in mind to get the most of this makeup must-have. When it comes to concealers, choosing the right one can sometimes be dizzying. Most of us know the stick kind, but there are liquids, creams, powders and finishes to keep up on. Below are your basic types and when you should use which. Stick: This is great when you need the heaviest coverage. It’s easy to control where you apply it and is great for dark under eye areas and heavy dark spots. Creamy liquid: This goes on light and tends to blend better than stick concealers. It also won’t be as prone to caking and creasing as stick concealers may. Cream: This is a very hydrating product that is wonderful if you’re looking to get the most even coverage and if you have very dry skin. It’s good for all-over, heavy coverage and can even substitute as a foundation. Cream to powder: This concealer comes in a compact form that spreads like a cream and has a powdery, matte finish. It sets well for a few hours and then can crease. It’s good for a smooth, powdery coverage if you’re going to a short event. However, it can make breakouts worse and the powder finish accentuates dry skin. Color correcting: This is the heavy-duty stuff that is for very dark marks under eyes, dark scars or other heavy discolorations. These come with pigments to block out certain discolorations, like a greenish color to block red marks. Apply it before foundation to minimize odd colors. 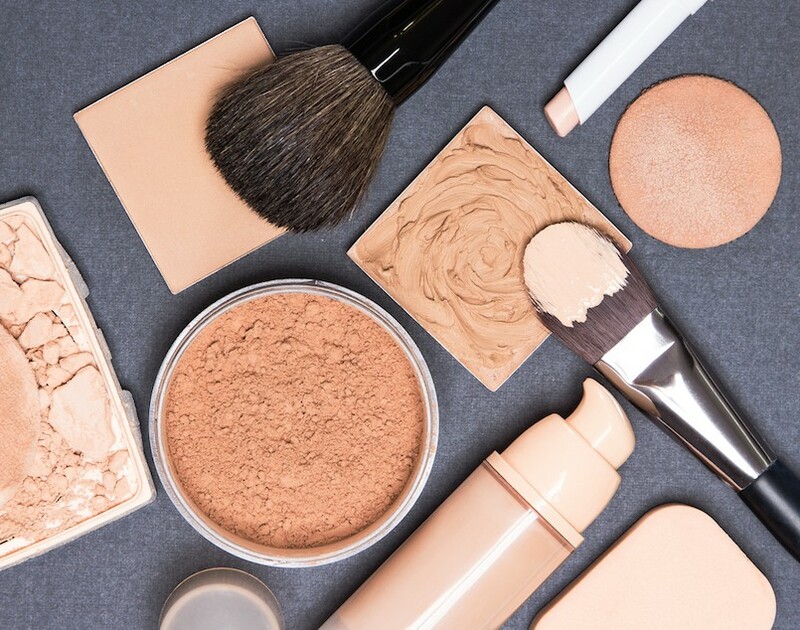 When it comes to different types of concealers, the application basics remain the same. Those with dry skin will want to prep with a moisturizer. Apply the moisturizer and leave it to sink in for a minute or two. Apply your foundation first if it is a liquid. If you use a powder foundation, apply your concealer first. Apply the concealer on to the dark areas as heavy as you need, and then blend the edges of the concealer mark until there is no line. Fine flicks outward with a sponge or finger will do the job, though heavy concealers may require a heavy brushing motion with the finger or sponge to blend. An easy tip for working with a stick concealer is to rub the concealer stick onto your finger and then dab your finger onto the dark spot. That controls application better. As for which shade of concealer you should pick, it’s not as simple as just selecting one to match your skin tone. For the under-eye area, pick a concealer that is one to two shades lighter than your skin tone. That will create a very subtle highlighting effect for an area that is naturally dark and shadowed. Concealer for the rest of your face should match your skin tone and your foundation.